Sold by PrimeSeason AU and Fulfilled by Amazon. Gift-wrap available. Space saving vertical design for your Console. 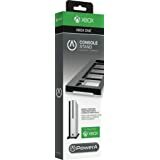 Securely position your XBOX ONE S Console in an upright position. Designed to fit the console securely and vertically to optimize space. 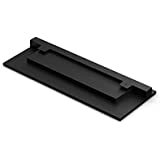 Non-slip feet - rubberized feet prevents your console from moving. Snug fit - prevents your console from tipping over. Vented holes to help air flow while keeping your console cool. Double layer thickness design of the stand makes the XBOX ONE S console cooling easily and won't scorch your table. 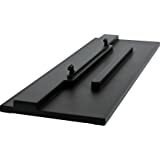 Wider base for a steadier support for your console. Fashion perfect and convenient, easy installation simple plug and play setup. 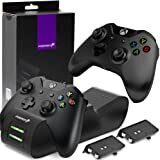 One of the Must have Xbox One S Accessories. Sold by PrimeSeason AU and ships from Amazon Fulfillment. Sold by theWireless Oz and ships from Amazon Fulfillment. Securely position your console upright for the perfect setup and fit. 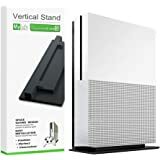 View your XBOX ONE Slim Console from a whole new angle with this vertical stand.Show off the sleek, new design for everyone to see. 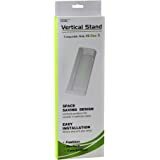 Vertical Stand Take your console to new heights. 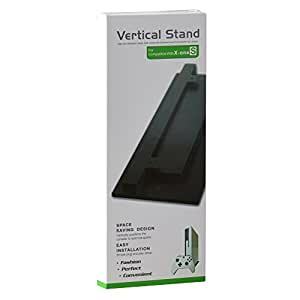 Vertical Stand Keep your playstation steady while vertical with this smart stand is safe for your console. WARM HINT :Works only with the Xbox One S console.